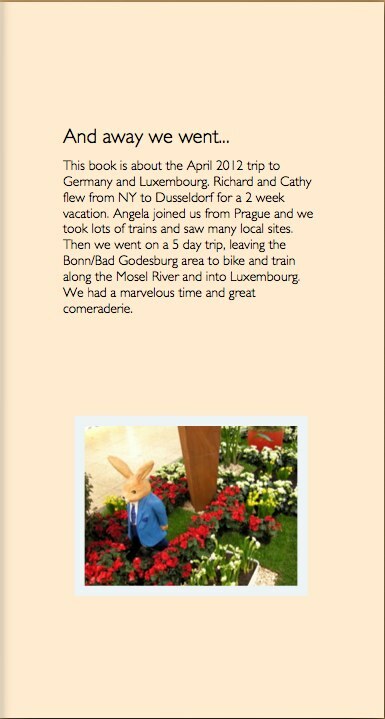 Richard (Ann's brother) and Cathy (Ann's mom) arrived in Dusseldorf on Wed, 4 April, early in the morning. 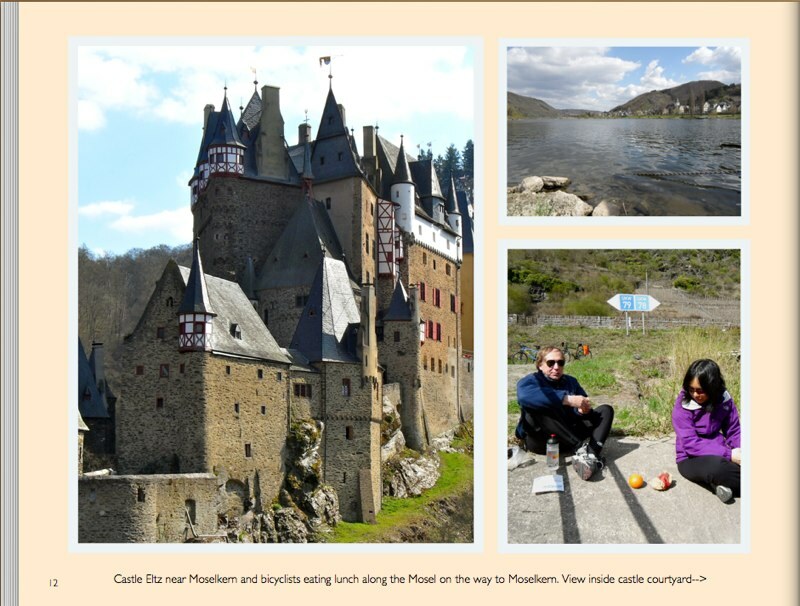 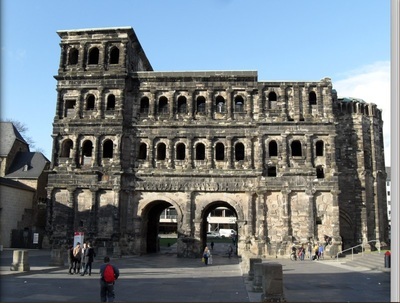 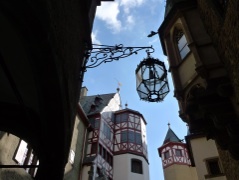 Thursday, Richard and Ann rode bikes to Remagen while Cathy and Billy took the train. 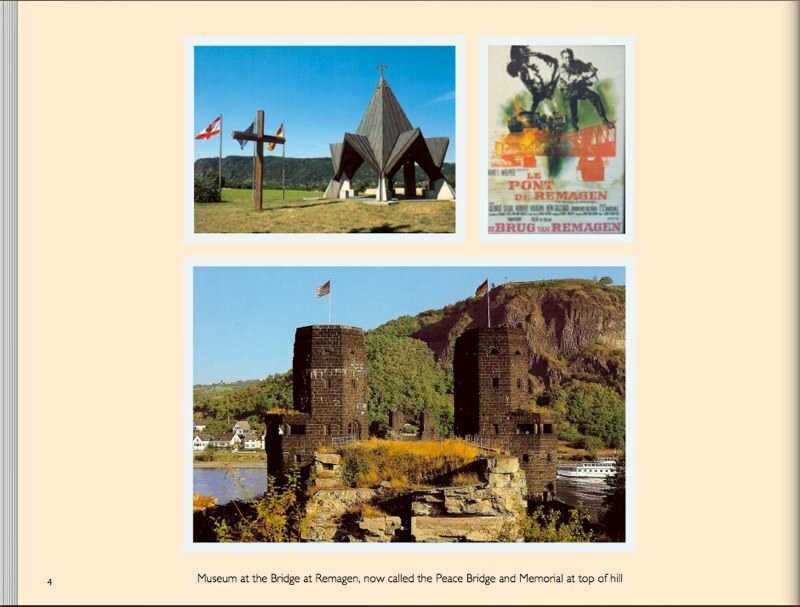 There we viewed the museum at the spot of the Remagen Bridge, a key factor in WWII as it was the last existing bridge on the Rhein river for the Allies to cross into the heartland of Germany. We even came home and watched a movie about the bridge. 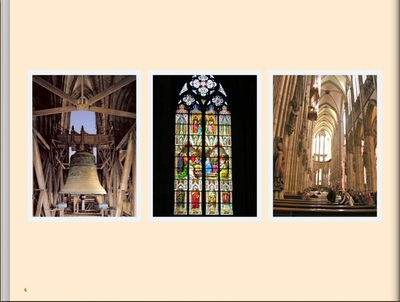 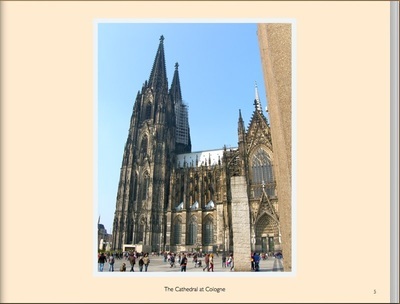 On Good Friday we all took the train to Cologne to visit the huge, impressive Cathedral. 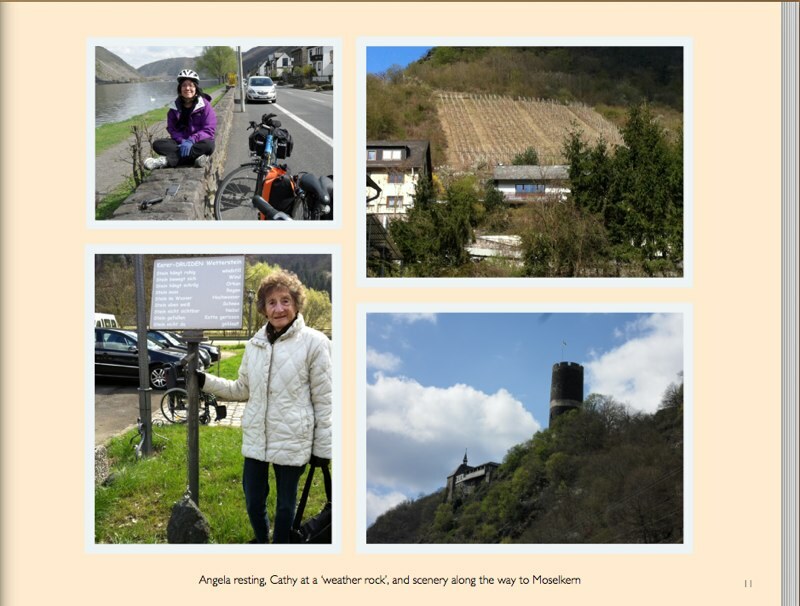 Angela (a friend of many years) arrived Saturday evening from Prague and we got ready to go on our 5 day adventure down the Rhine River, along the Mosel River and into Luxembourg. 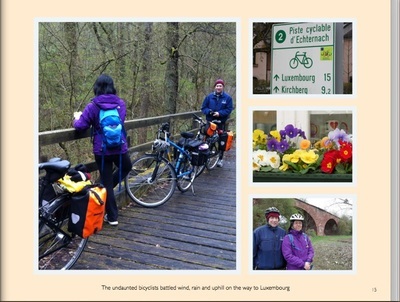 In spite of the rain and cold weather the dauntless bicyclists rode along the rives and through the countryside while Ann or Billy or Richard accompanied Cathy on the trains from place to place. 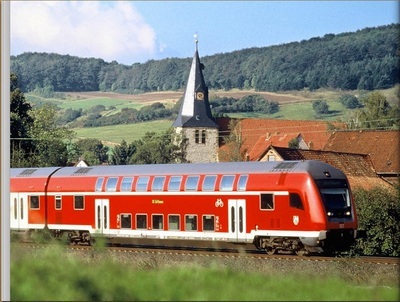 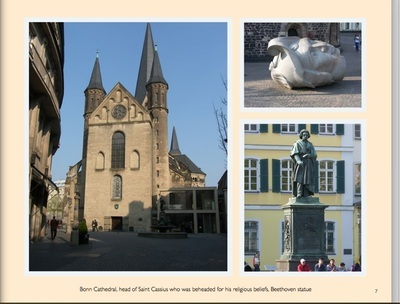 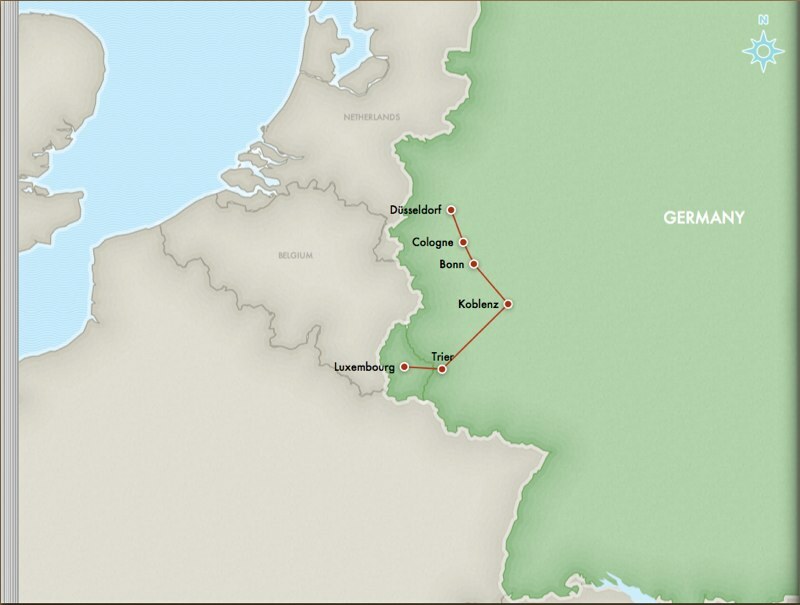 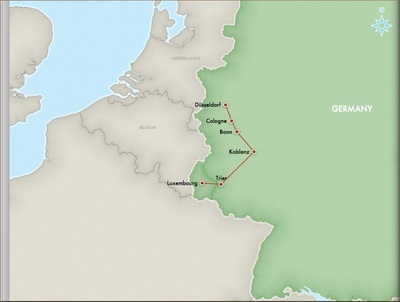 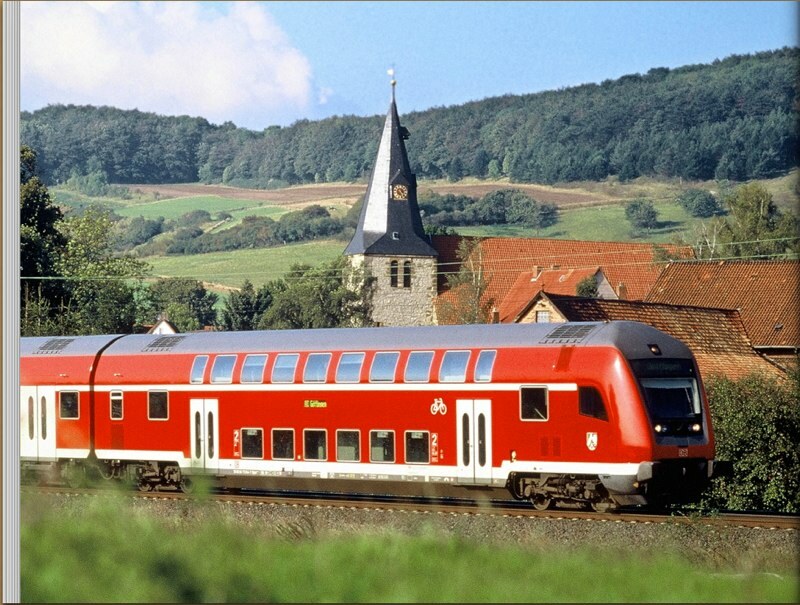 Easter Sunday, we all (Ann, Richard, Billy, Angela, and Cathy) boarded the train in Bad Godesburg and traveled to Koblenz. 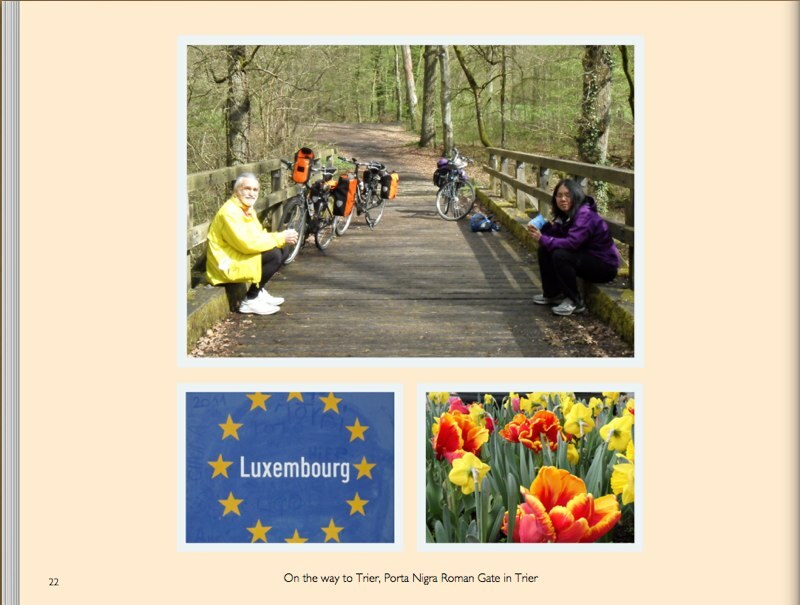 Ann, Richard and Angela disembarked in Koblenz and rode along the Mosel River while Billy and Cathy took the train to Moselkern. 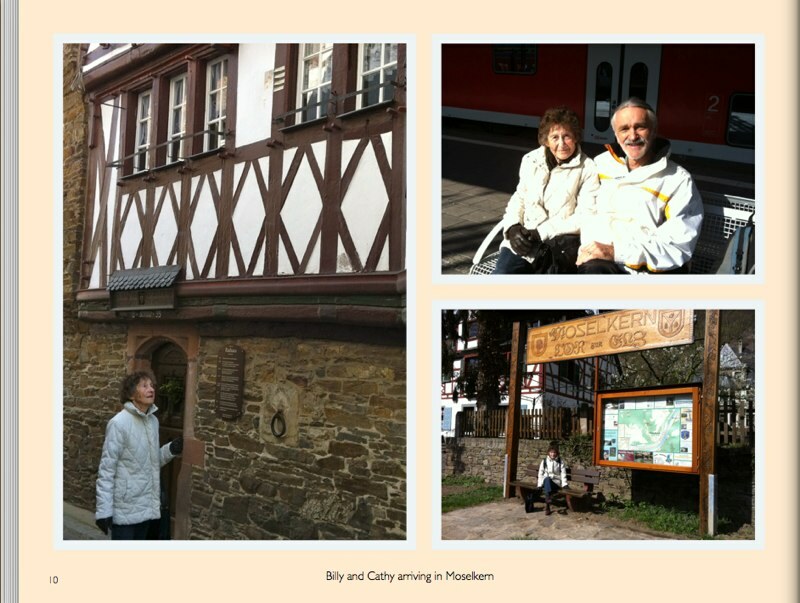 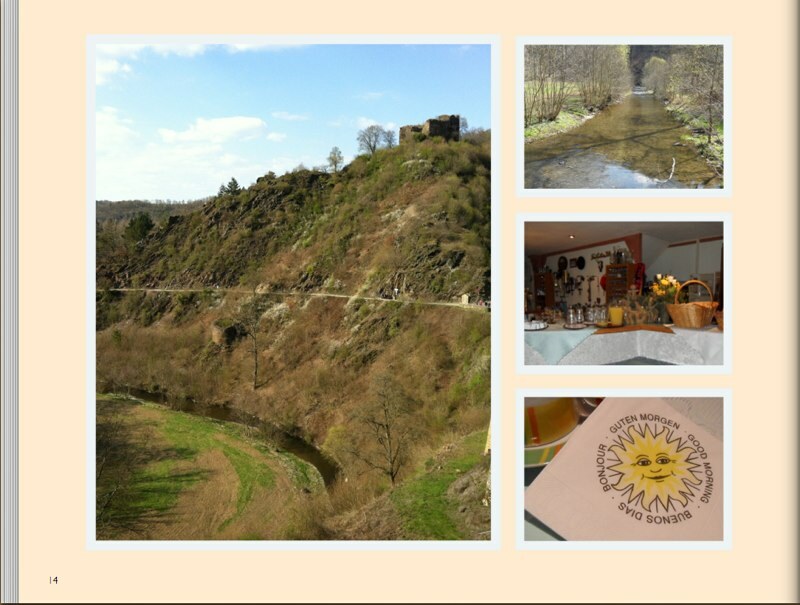 We had a lovely hotel in Moselkern and later that day toured the incredible Castel Eltz. 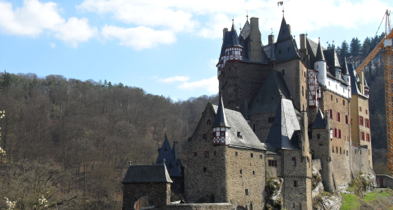 This castle has been in the family for over 800 years, and has many rooms that are restored in an accurate historical fashion. 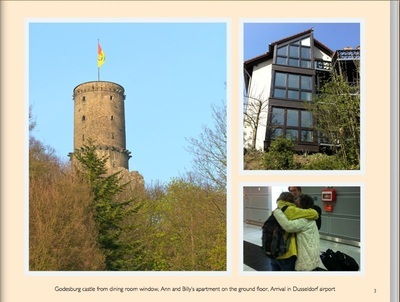 We saw bedrooms, dining room, kitchen, museum of weapons and treasures, and there were lots of stairs up and down throughout the rooms. 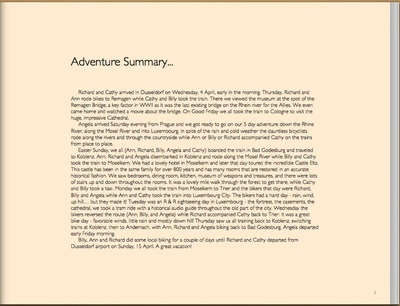 It was a lovely mile walk through the forest to get there, while Cathy and Billy took a taxi. 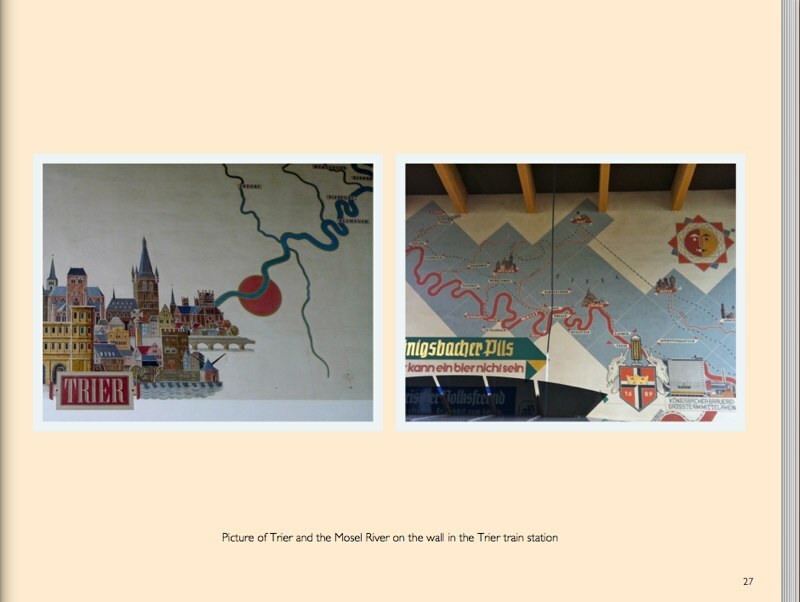 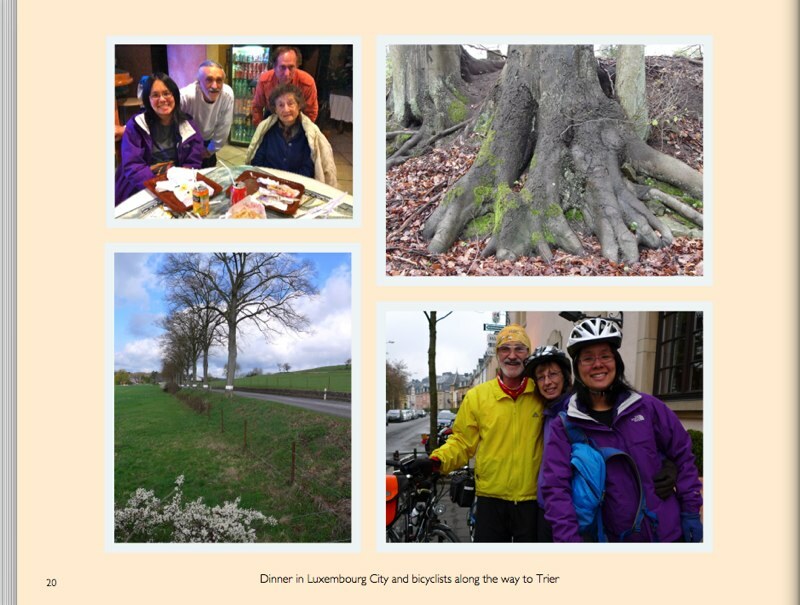 Monday we all took the train from Moselkern to Trier and the biker that day were Richard, Billy and Angela, while Ann and Cathy took the train into Luxembourg City. 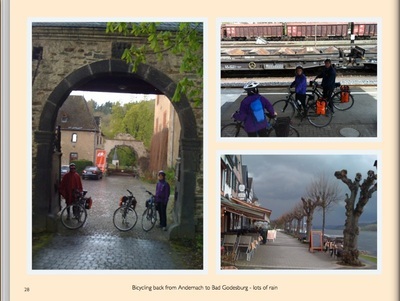 The bikers had a hard day - rain, wind, uphill... but they made it to the hotel! 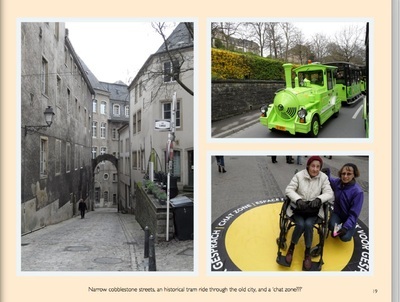 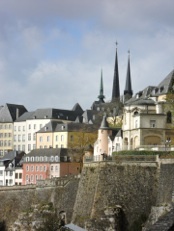 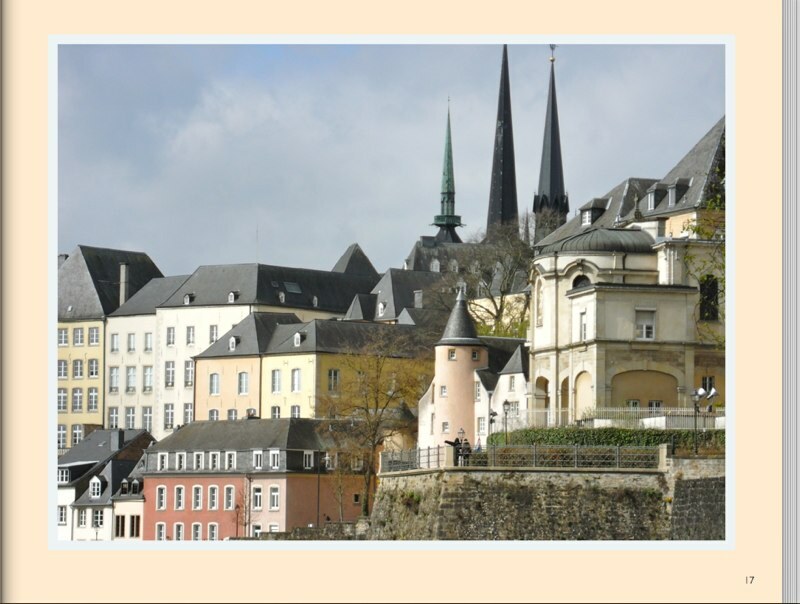 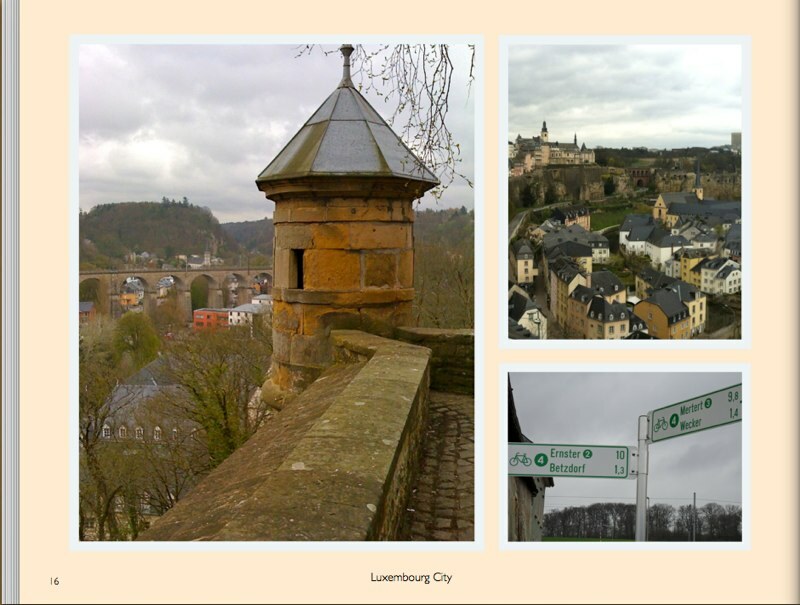 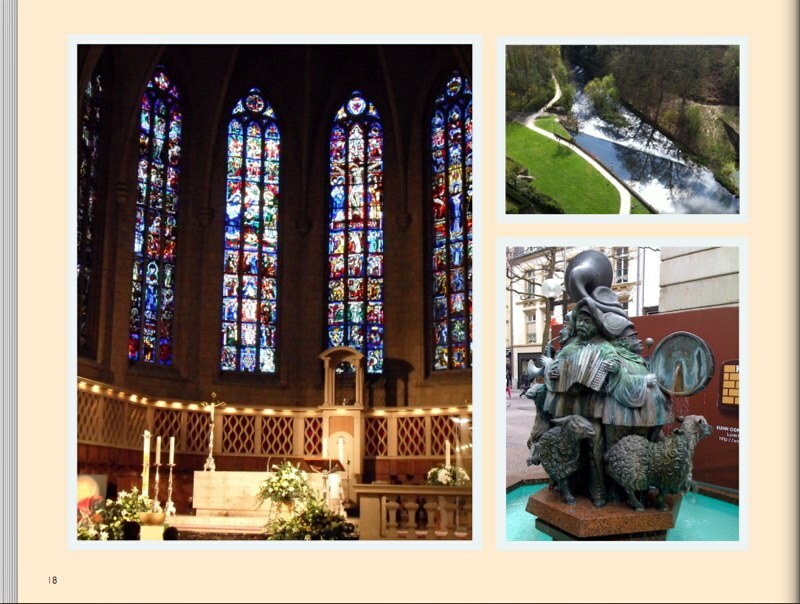 Tuesday was a R&R sightseeing day in Luxembourg - the fortress, the casements, the cathedral, we took a tram ride with an historical audio guide throughout the old part of the city. 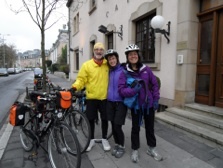 Wednesday, the bikers reversed the route (Ann, Billy, and Angela) while Richard accompanied Cathy back to Trier. It was great bike day - favorable winds, little rain, sun, and mostly downhill. Thursday saw us all training back to Koblenz, switching trains at Koblenz, then to Andernach with Ann, Richard, and Angela biking back to Bad Godesburg. 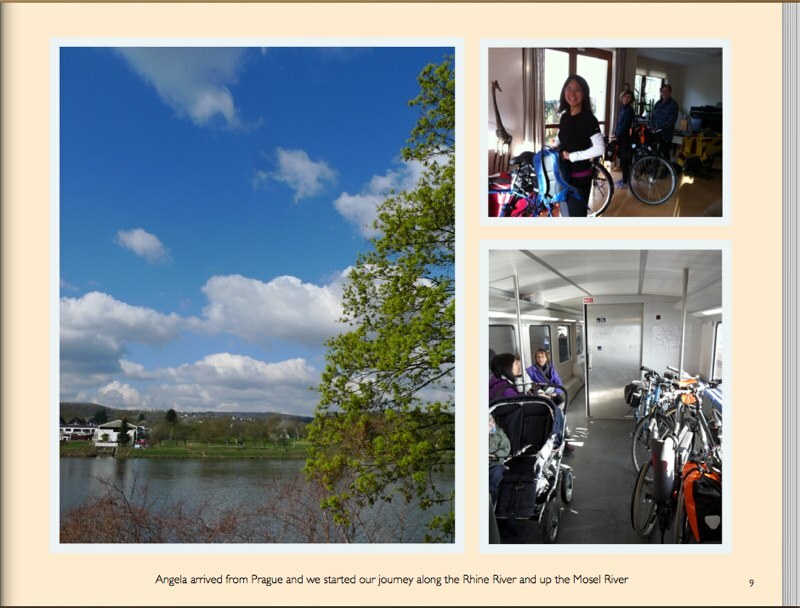 Anglea departed early Friday morning. 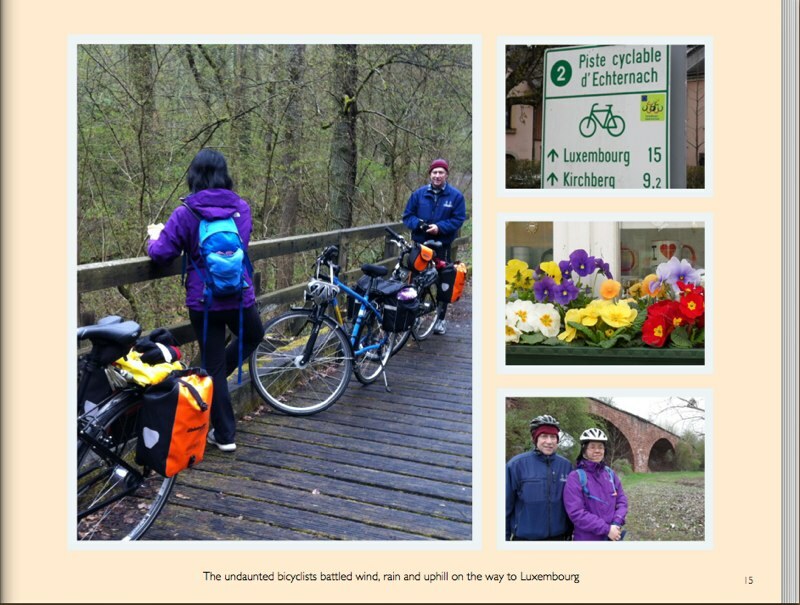 Billy, Ann, and Richard did some local biking for a couple of days until Richard and Cathy departed from Dusseldorf airport on Sunday, 15 April. 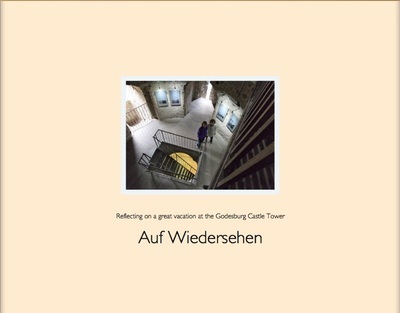 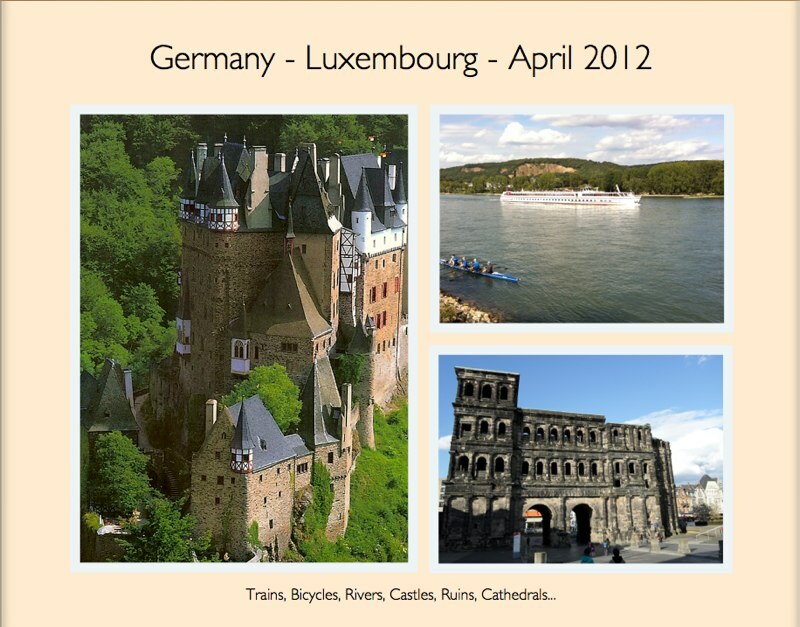 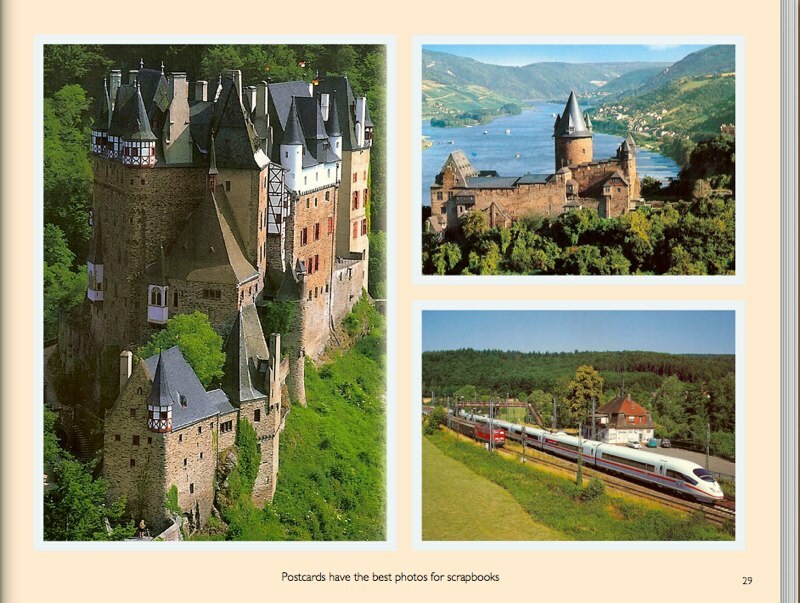 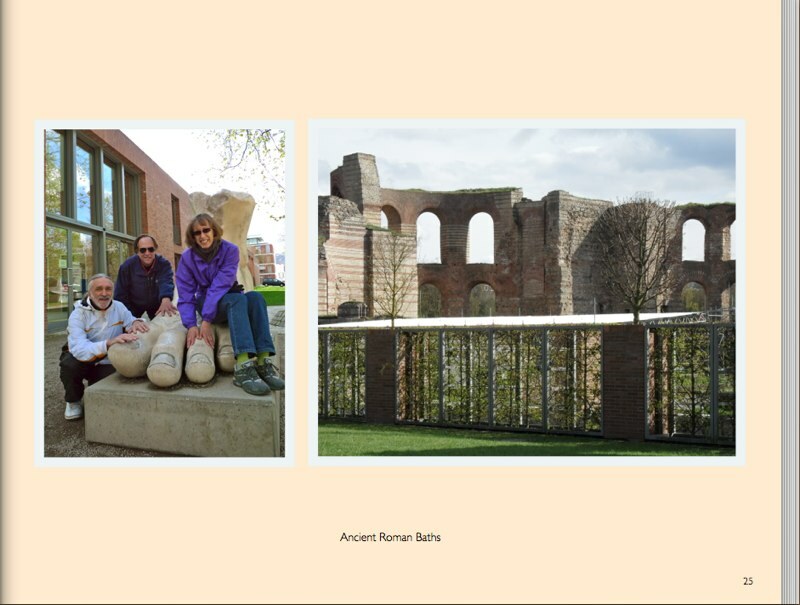 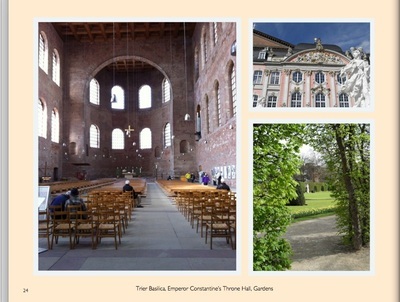 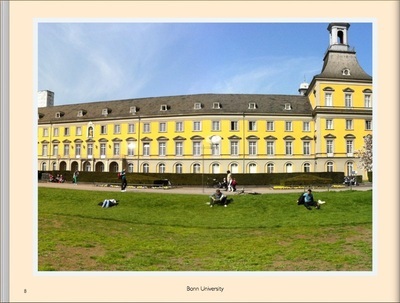 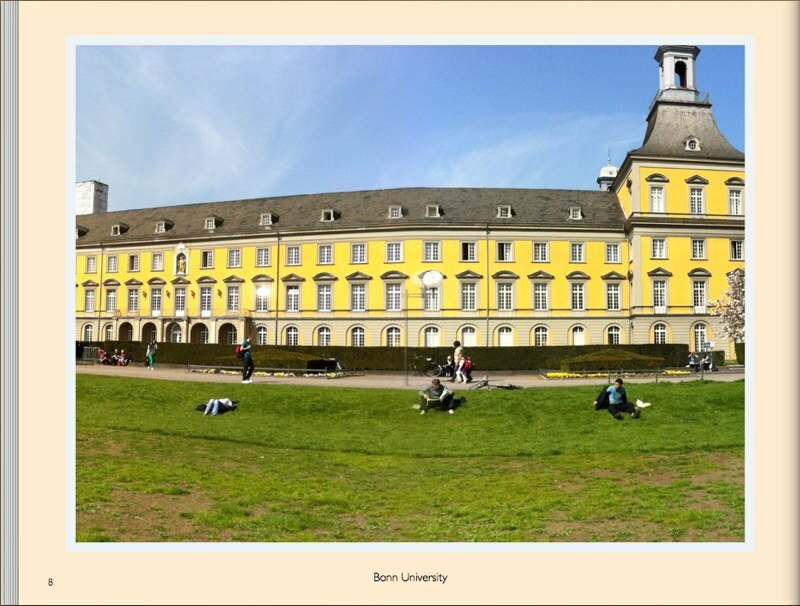 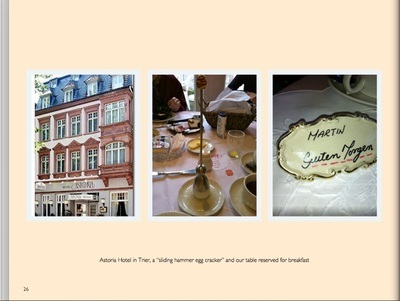 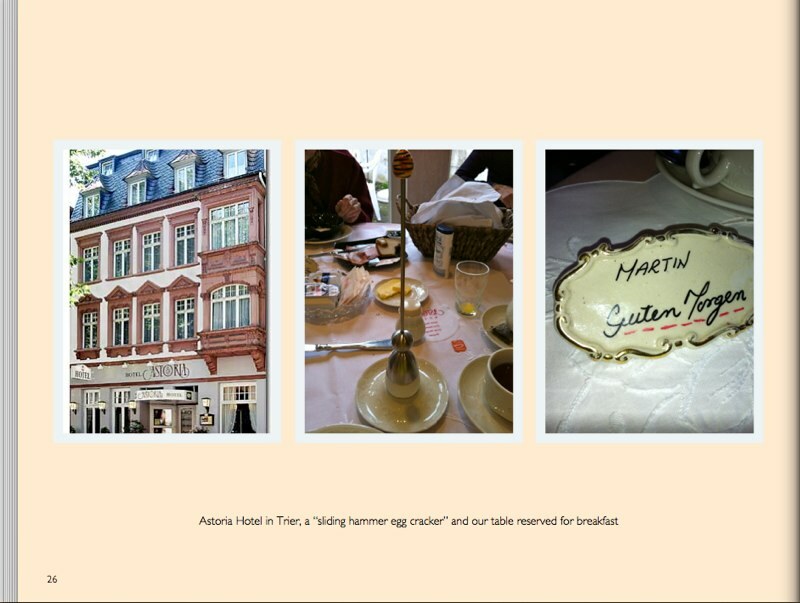 The following photos are the pages from the iPhoto book that we made of our trip. 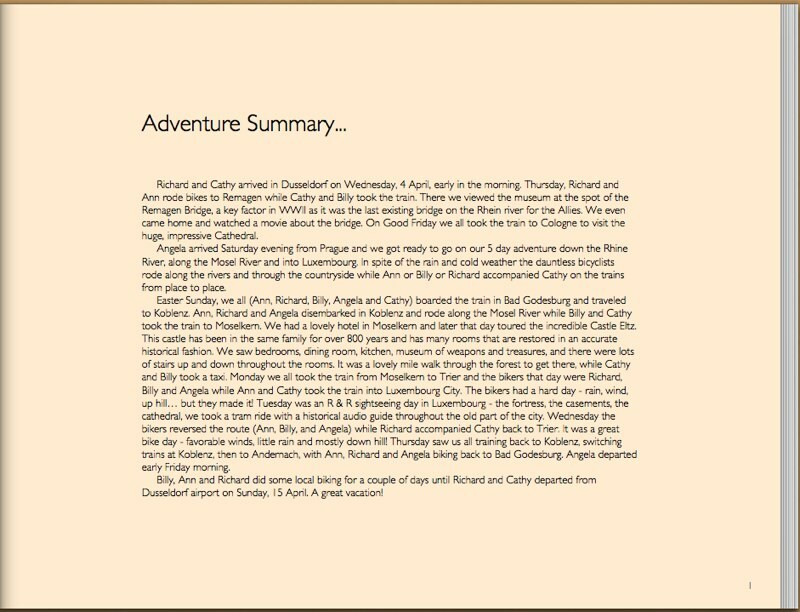 Click on each to see a larger image.